이 집은 병자호란 때 척화신(斥和臣)*으로 활약했던 불구당(不求堂) 김주(金注)가 태어난 곳으로 집의 뒤에는 나지막한 야산을 두고 동쪽을 바라보고 있다. 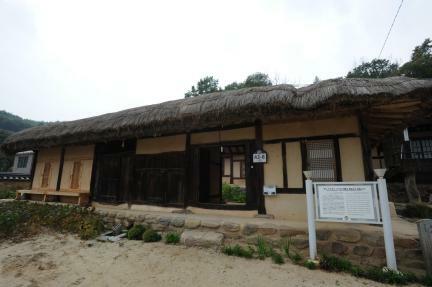 1981년 지붕을 고칠 때 글자가 새겨진 기와가 발견되었는데, 이를 근거로 할 때 1634년(인조 12) 이전에 지어진 가옥으로 추측된다. 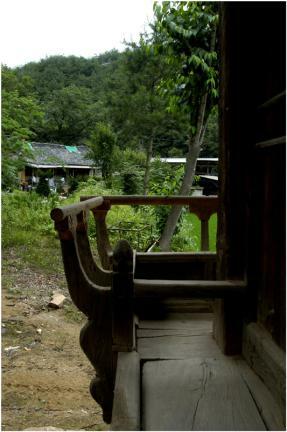 집의 형태는 ‘⊓’자형 안채와 ‘−’자형의 중문간채, 사랑채를 두어 ‘ㅁ’자형으로 구성되고, 그 앞으로 ‘」’자형의 초가집 문간채를 두었다. 남악 종택은 지형의 높낮이에 따라 안채, 사랑채, 문간채의 높이를 조절함으로써 시야를 확보하고 바람이 잘 통하도록 하였다. 햇빛이 잘 들어올 수 있도록 쾌적한 공간을 만든 것이 특별하다. 특히 ㅁ자형의 형태임에도 불구하고 양쪽 익사***를 길게 하여 햇빛이 안마당에 깊이 들 수 있도록? 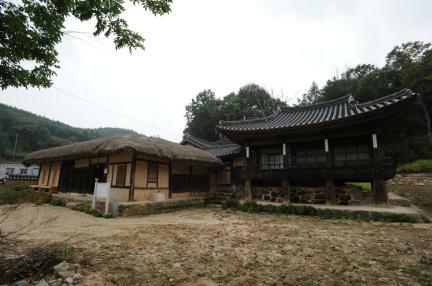 하였다. 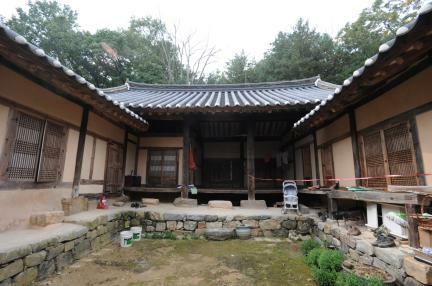 또한 용도에 맞도록 작은 방을 많이 설치한 것과 독립적인 외부공간을 마련함으로써 내부 및 외부공간을 구분한 것 등 민속적 특징을 많이 가지고 있다. **익사 - 한자는 날개 익(翼)자로 안채의 큰마루를 중심으로 날개처럼 돌출된 부분을 말한다. 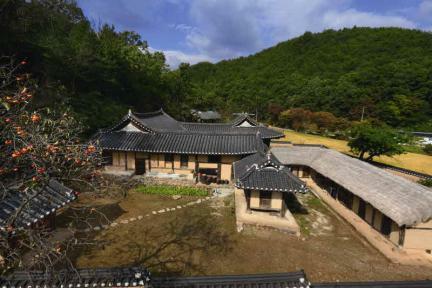 This aristocratic rural mansion in the typical northern Gyeongsang-do style was confirmed to have been built before 1634 with the discovery, during repairs in 1981, of a roof tile with an inscription denoting that year. 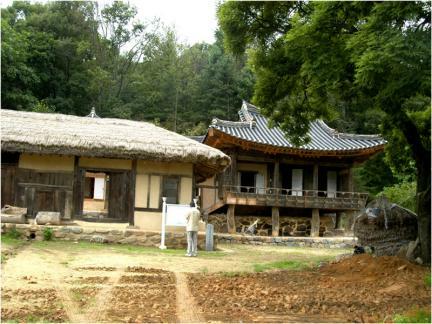 Kim Ju (1606-1681, pen-name: Bulgudang), a courtier during the reign of King Injo of the Joseon Dynasty, was born here. 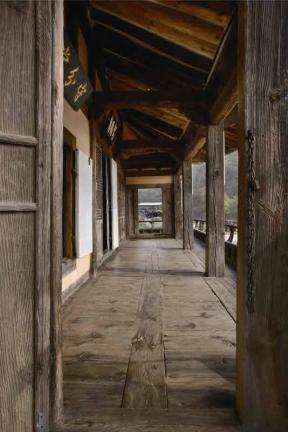 He became famous for opposing peace negotiations during the Manchu invasion of 1637. 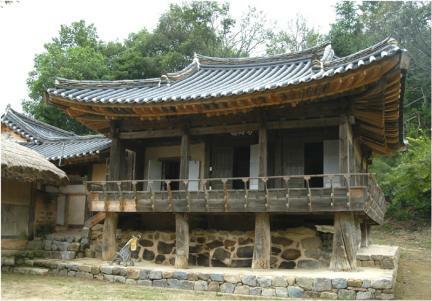 The house faces the southeast from the southern side of Namaksan Mountain, a branch of Guksabong Peak. 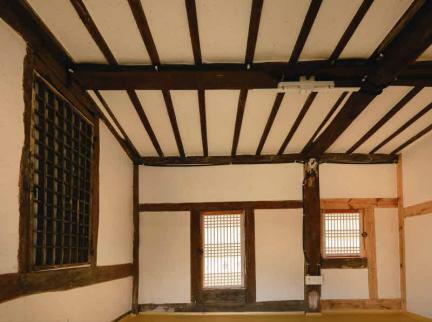 It has a square layout measuring nine kan (a unit of measurement referring to the distance between two columns) at the front and seven kan at the sides, smartly taking advantage of the site’s different ground levels to give each building a pleasant atmosphere with good lighting and ventilation. 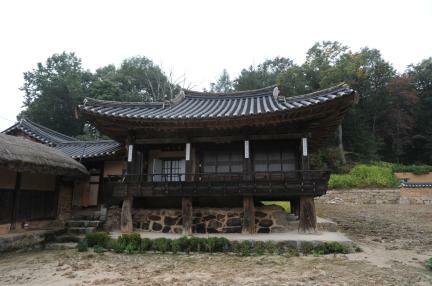 The anchae (women’s quarters) is a five-beam structure, and the sarangchae (men’s quarters) includes an elegant pavilion, named Gahangnu (literally meaning, “Flying Crane Pavilion”). The pavilion is supported by stone plinths and surrounded with decorative balustrades in the cockscomb design. 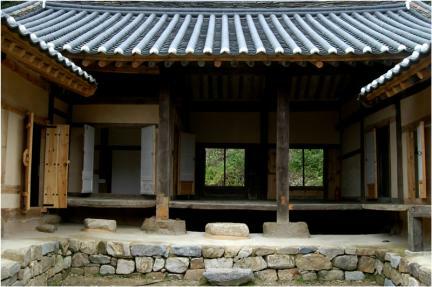 With its gently curved roof lines, the pavilion stands next to the thatched haengnangchae (servants’ quarters), creating a beautiful contrast. 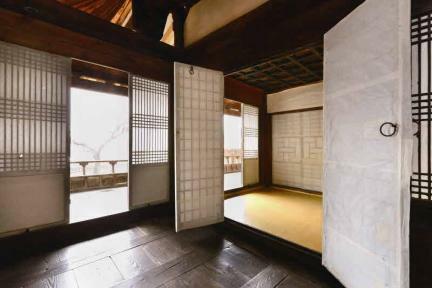 The house maintains the architectural characteristics of provincial residences of the Joseon literati class. 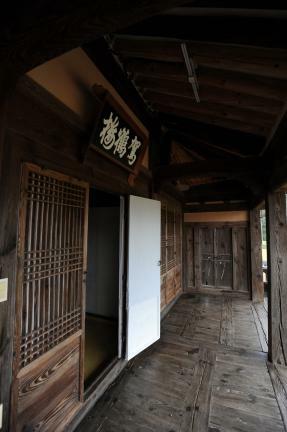 Artless yet beautiful and sufficiently functional, the house is an important folklore cultural heritage of outstanding value.